Since its humble start in 22 January 1983, K.K.K.L. Sdn. Bhd. has been dedicating express coach services to passengers. K.K.K.L Sdn. Bhd. is a fast growing express coach company. In the beginning, we had only one single unit of 44-passenger express bus and a few units of factory buses, but now we become one of the leading and largest companies of public bus transportation in Malaysia. Today K.K.K.L. Sdn. Bhd. 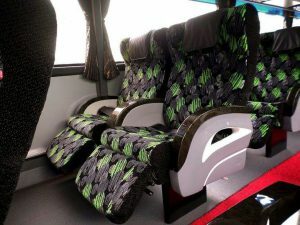 owns more than 100′s express coaches including Super VIP air-conditioned express coaches, executive double-deck & single high-deck express buses, coupled with over two hundred experienced and well-trained drivers in order to provide our passengers with the safest and most comfortable journey which connects to main cities and channels them to their destinations. Besides, in meeting up to our customers’ demands, our top-notch management team has also been serving to its very best by providing our customers with a service of top quality. The new First Class Edition 18-seat with LCD coaches was innovated to meet the needs of our dear customers who desire for a more luxurious and comfortable coach travel. 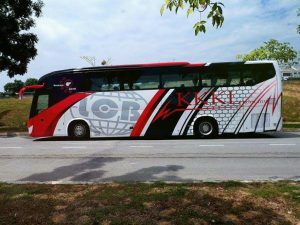 However, these buses seem not sufficient due to the increasing demand of interstate bus services in Peninsular Malaysia. Therefore, we intend to acquire more express coaches and permits in order to have various bus routes and increase the number of trips to satisfy the demands of the public. K.K.K.L. Sdn. Bhd. offers a comprehensive range of route services in Malaysia. Our main destinations and routes include all the major cities in Peninsular Malaysia, Singapore and Hatyai, Thailand. On top of that, new routes are coming soon. With about thirty years of experience and excellent serving record in this industry, we are confident to continuously provide you the most reliable and best quality service for all your needs during your journey. Hence, we would constantly improve ourselves to reciprocate the support of our dear customers. With this, K.K.K.L. Sdn. Bhd. is a step closer to achieve its vision and mission.